Craftsman Style Lake House with 188&apos; of lake frontage on point lot with almost 1.8 acres! Main level has open floor plan, a very large open family/great room with stacked stone fire place that is open to the kitchen w/granite counter tops, a master bedroom with lake views, master bath with garden tub plus a separate steam shower, walk-in closet. Large recreation room with fantastic wet bar, stone work, deck access and great views! It has tongue & grove ceilings and hardwood floors through out. The Upper level has two bedrooms, each with a full private bath, and a loft area in between. A large 2 car/boat garage is detached. There is a concrete pathway to the covered two slip max dock with upper sun deck with roof & 2 boat lifts. 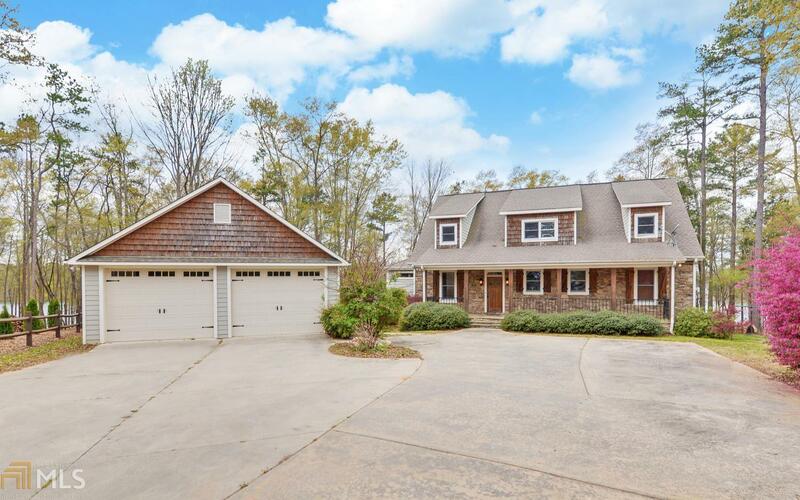 Close to downtown Hartwell. Directions: From Hartwell, Take Hwy 51 North, Reed Creek Highway, Right On Lightwood Road, First Right On Bob White Road, Right Into Little Lightwood Point Subdivision, House At The End Of The Cul-De-Sac With Yard Sign.